Apr17 Comments Off on Plan B available to preteens? 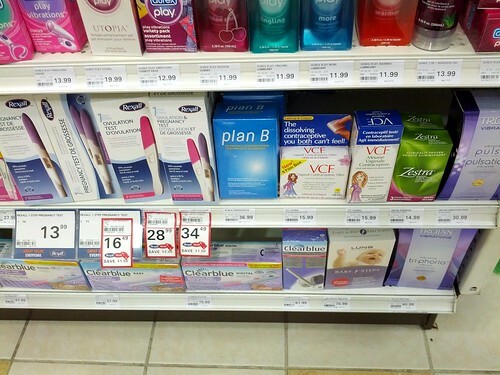 Plan B available to preteens? According to a recent article in the New York Times, a federal court judge ruled that Plan B, also known as the morning-after pill, should be available without a prescription to women of all ages. Currently, sixteen-year-olds and younger are required to obtain a prescription in order to be given the drug. As reactions pour in, it’s easy to be swayed to either end of the political spectrum. Conservatives certainly make an understandable case: allowing extremely young girls access to such a drug might send the wrong message, has the potential for misuse and alienates the rights of the parents. It’s a little scary to think that an eleven-year-old could soon go into a drug-store and purchase Plan B, with no questions asked and no parental notification necessary. With such reaffirming scientific evidence supporting Korman’s ruling, it’s also easy to understand a liberal perspective. This ruling can also be construed a great leap forward in women’s rights; equal access grants young women the right to be protected from an unwanted pregnancy when other birth-control methods fail. It also creates a safer environment for these young women obtain the medication without a prescription or parental involvement. Some girls need this type of environment to seek out such a drug, for fear of backlash at home or other adverse reactions.